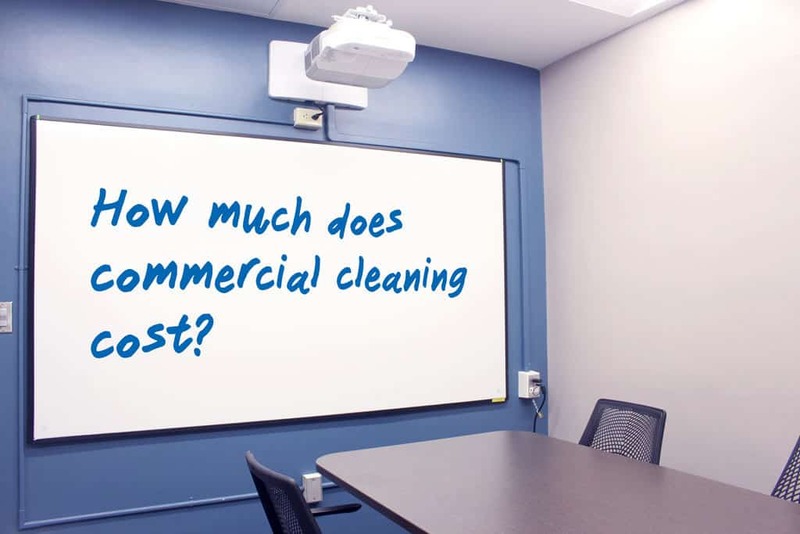 How much does it cost to hire a commercial cleaning company? Honestly, it’s the Wild, Wild West out there when it comes to rates charged by cleaning companies. Bid out the cleaning of your office and you may end up with vastly different prices from different companies. How can you make sense of it all and how can you know what’s a fair price? Here are a few tips to help you understand janitorial pricing and to help you choose the right commercial cleaning company. Before the price given by any janitorial company can make sense, you need to know what that price includes. Therefore, make sure that you get answers to the following questions from any professional cleaning service that gives you a quote. Does the cleaning company provide the supplies and equipment that would be needed to perform the cleaning? Would the company expect you to provide anything? Is the company fully bonded and insured? If one of its employees accidently breaks something in your facility, would the company have the insurance to cover the cost of repair or replacement? What hourly pay rate does the company provide to its cleaners? This significantly impacts both employee turnover and the company’s ability to attract quality workers. Since janitorial jobs are relatively unglamorous, higher labor rates are usually necessary to attract and retain quality people. Does the company conduct routine inspections of its cleaning? This should be performed by an individual who did not perform the cleaning itself. The company may promise great cleaning, but how can it ensure that it’s providing this if it never inspects the work? One of the best ways to predict the level of service that you would eventually receive from a cleaning company is to use intuition. You can accomplish this by using the things you know as a proxy for the things you don’t know. You can’t see the future to judge the service a company would provide to you, but you can certainly see the present. Therefore, when you meet with a company’s representative to get an estimate, make note of the signals this person sends you. Is she on time for your meeting? How is he dressed? Is she respectful and accommodating? Is he knowledgeable, friendly, and helpful? At the best companies, high standards permeate everything. For this reason, your in-person meeting can be one of your most effective tools in selecting a top janitorial service. Before meeting with someone from a janitorial company, you should make several basic decisions that will affect your price. Doing this will help you to be prepared for your appointment and allow you to make the most of your time. If you’d like input from the representative before making any of these decisions, he or she should be able to provide you with an informed professional opinion during your meeting. What areas of your building do you need cleaned? Do you need daily or weekly cleaning? What cleaning tasks do you need performed? Are there certain tasks or areas you’d like completed more often than others? Restrooms, kitchen areas, high-touch areas, and trash typically require greater frequency than is required for dusting, cleaning tile or marble floors, or cleaning interior glass. What are the most important areas of your facility? In other words, do you need certain areas to receive more time and attention each time they’re cleaned than others receive? Don’t be afraid to ask for options. Since each of the above factors will influence the price, you may want to see different scenarios that each have their own scope of work and a corresponding price. Also, if you want to hire a specific cleaning company but this company quotes a price that’s over your budget, don’t be afraid to request a revised proposal. The company may be able to adjust the scope of work in a way that still meets your needs but is also within your budget. A good cleaning company won’t hesitate to work with you to find a creative solution that works for everybody. While it may be tempting to assume that janitorial bids all come down to square footage, many factors determine the final price. Unfortunately, some cleaning companies try to get new customers by submitting extremely low bids without fully enumerating everything the price does (or does not) include. Out of necessity, these companies then provide bare bones service if they’re awarded the contract. Often, these companies don’t have the wage rates, equipment, or organizational infrastructure that are necessary to provide the desired level of service. For this reason, selecting the cheapest cost for cleaning is not always the best idea and the cliché often rings true that you get what you pay for. This is especially relevant in competitive bidding situations and it requires prospective clients to do their homework by proactively seeking information from service providers. If you’re tired of a dirty office, then simply pick a commercial cleaning company and contact them. Explain your needs and ask to meet with someone from the company. They should be able to send a cleaning expert to meet with you at your facility. Take full advantage of this meeting because this person is a free resource. Show him or her your facility and ask any questions you have about what’s necessary to keep it clean. He or she should be able to provide you with expert insight, information, and advice. Also, this person should be able to articulate how his or her company can help you and should give you confidence in its ability to do so. If you leave the meeting with doubts, then simply schedule a meeting with a different company. You’ll know when you’ve found the right partner to keep your facility clean. Blue River Cleaning is a full-service commercial cleaning provider and we can schedule a free consultation with you to see your building and to speak with you about your needs and concerns.